I’m not in any way suggesting who YOU should vote for, but rather making a call to action. My hope for this upcoming election is that we don’t let FEAR influence our decisions and that we can see through the rhetoric and finger pointing. It’s what frustrates me the most about politics – how the media and BOTH political parties have created an election system based on fear and inauthenticity. For ME it comes down to TRUST and choosing a candidate who is inclusive. One who is kind and the least judgmental of the two. One who has an open mind and who supports choices for all people. One who doesn’t push his belief system on others – but actually appreciates that we are all different – that we have different skin colors or have different sexual orientations or that we all don’t get the same start in life. The definition of rhetoric is: the art of effective or persuasive speaking or writing, especially the use of figures of speech and other compositional techniques. BOTH parties do it. And it’s our job to AWAKEN to see past all of that and vote from our own clarity and intuition. The name calling, finger pointing and rhetoric is FEAR-BASED. Vote from your HEART. Vote for our future. 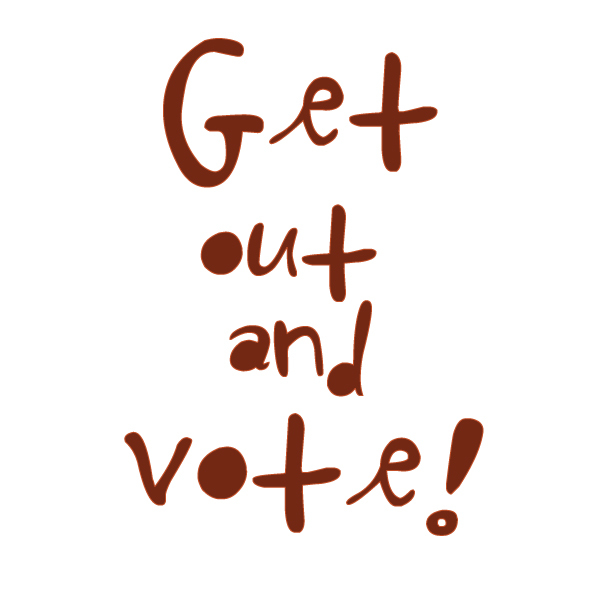 And make sure you get out and VOTE – because not everyone gets that opportunity in this world. No one could possibly change the millions of problems America and the world is facing in four years. And no one could possibly change these problems in A MILLION YEARS if WE don’t change OURSELVES first. We MUST take a good look at our own lives and ask ourselves: Do I live in budget? Do I take care of the earth? Do I judge people because they are different? Am I authentic in every situation, or do I hide my true feelings sometimes? Do I tell others that my way is the right way and they are wrong if they think differently than me? Do I point fingers and blame others but never take responsibility for my own actions? The only way the world can change is if WE LEAD FROM A PLACE OF LOVE and make the changes that we so desperately want in our world – in our lives first. Take action of your own life. Make those changes you want to see. Get clear – clarity is power. And let go of fear so you can vote with an open heart. It’s important to take time to share our appreciation with our leaders. Sharing our thanks and offering support brings us out of a passive role and allows us the chance to become more active in the process. And that exchange of energy helps us ALL thrive. Happy voting! Think of a leader you appreciate and take the time to support and thank them this week. Thank You for an inspiring blogpost! I will be voting tomorrow.